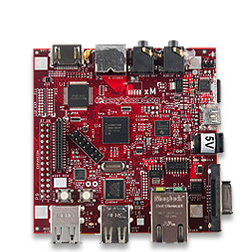 The $149 MSRP BeagleBoard-xM delivers with the help of its AM37x 1GHz ARM processor, enabling hobbyists, students and innovators to bring a project to development fast. Designed with community inputs in mind, this open hardware design brings the previous generations' laptop-like performance and expandability to the next level, while adhering to hand-held power levels. Direct connectivity is supported by the on-board four-port hub with 10/100 Ethernet, while maintaining a tiny credit-card-sized footprint. Additional PCB to connect LVDS LCD panel to BeagleBoard and BeagleBoard-xM. Provides simple interface to LVDS LCD panels like those in notebooks. 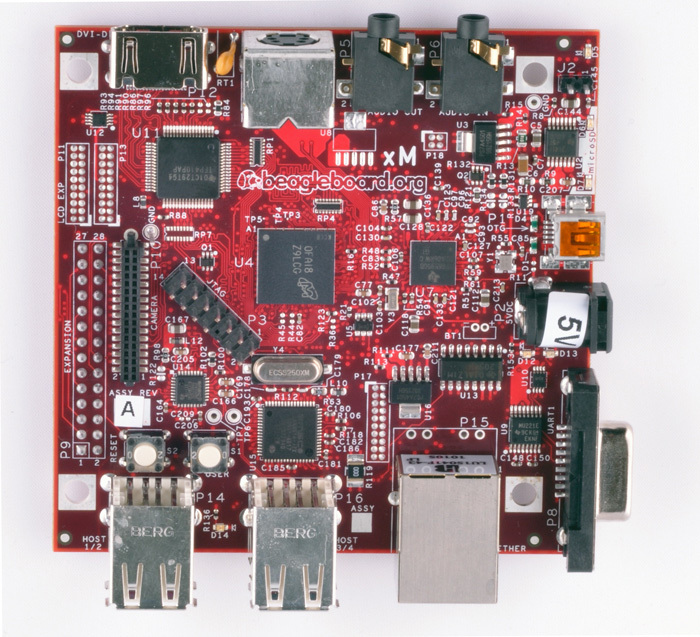 Getting started with Beagleboard-xM: Angstrom Linux on Beagleboard-xM, required peripherals, how to interface to external peripherals and their cost. Create a mega display wall, combining several displays. The mouse is synchronized accross 6 ARM-powered Ubuntu desktops through synergy, and an ffmpeg synchronization app makes it possible to combine them into a video wall. Last updated by jkridner.wordpress.com on Thu May 04 2017 01:35:16 GMT-0000 (UTC).